After many requests for more beauty posts, I decided to start sharing some of my favorite tips and products. 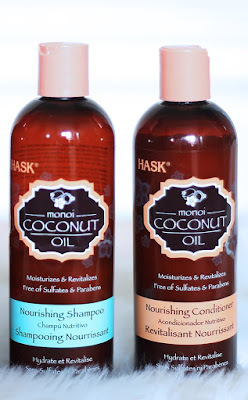 I especially hear questions about products for hair, and how I keep my blonde locks healthy. I'm no expert on hair and I've done my share of damage over the years from my platinum obsession, but research, advice, and experimenting has resulted in a routine that works well for me. 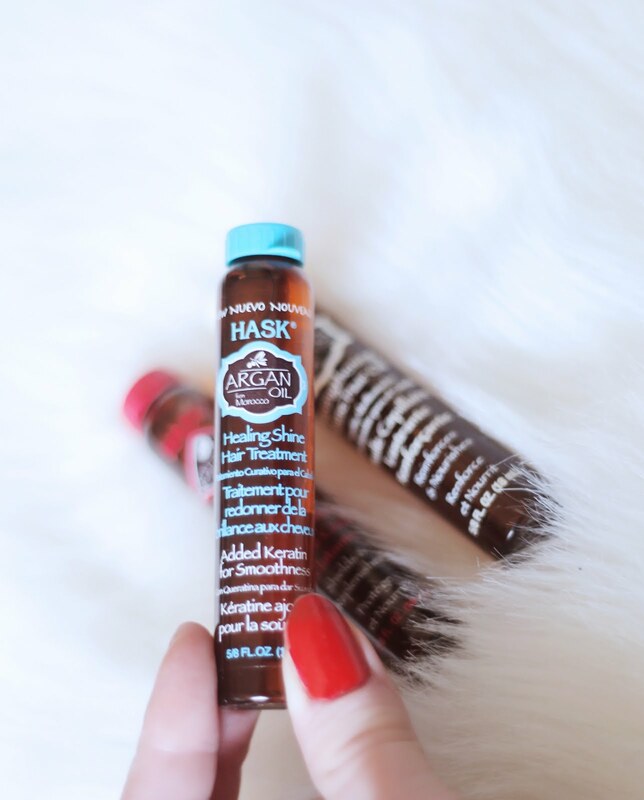 Today I've compiled a list of my key products, featuring a new favorite: Hask. While I was gifted their products, all opinions are as always 100% my own. 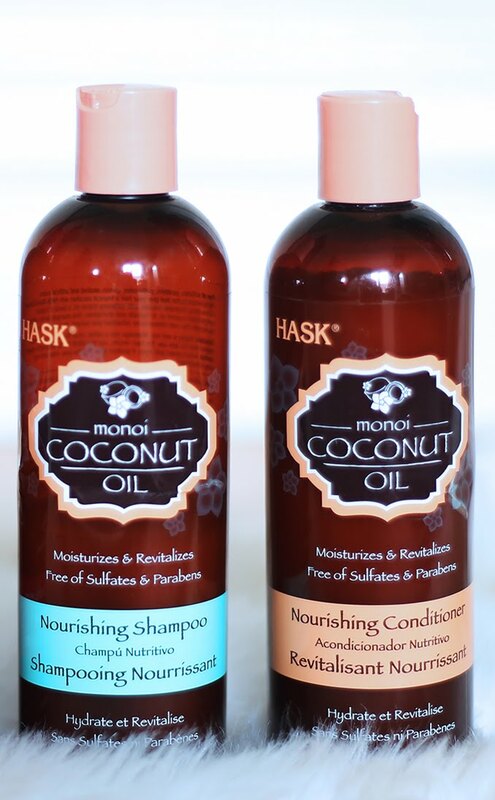 Hask has completely impressed me, in quality and price! Simply using the nourishing shampoo and conditioner makes my hair ultra soft, but also allows my hair to retain my curling sets even better than before. My wet sets result in bouncy, soft, curls that stay. I was shocked to find these kinds of results at such an inexpensive price tag, and this has become my bread and butter regimen. 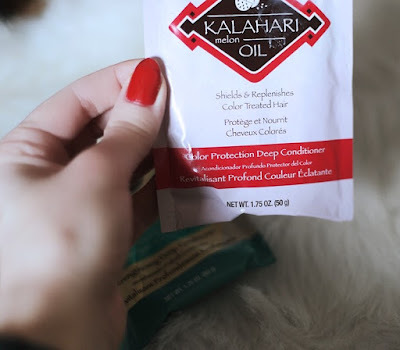 This shockingly inexpensive little packet works wonders for me! I use this deep conditioner once every 2 weeks (since I only wash my hair 2-3 times a week) and each time my hair becomes silky soft. 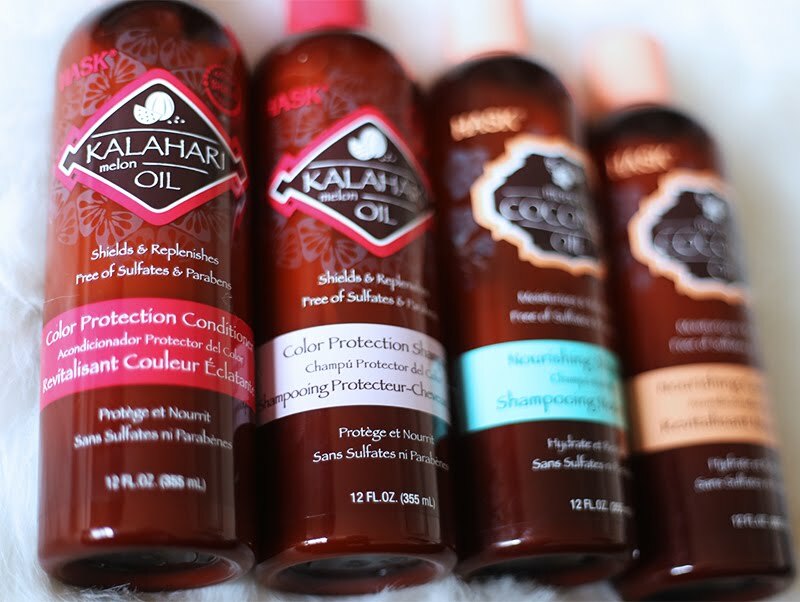 I especially love using it right before a wet set, because the next day my curls are truly touchable and luxurious. However, it's best to do when you don't mind looser curls, because my set didn't want to stay strong throughout the day. For longterm hair health, I've noticed less spit ends and overall more manageable hair. I also noticed my blonde color extra vibrant when using right after my purple shampoo (see below). Also, this little packet gave me 3 uses! I concentrated mainly on my ends and just a little on my scalp, and was pleased it lasts so long. I have not yet tried the color protection shampoo and conditioner, but if they are anything like the above products, I'm sure they are amazing. I will let you know! I use this on days "rest days" when I don't plan to curl my hair too much. This is mainly from fear that my curls will not stay on my fine hair. I don't recommend too many oils on curling day if you have similar hair type to me, BUT this product was amazing for a soft day of healing and repair! If you have thicker hair that holds curl, I would recommend lightly applying this oil to your finished curl set for an added glossy shine. 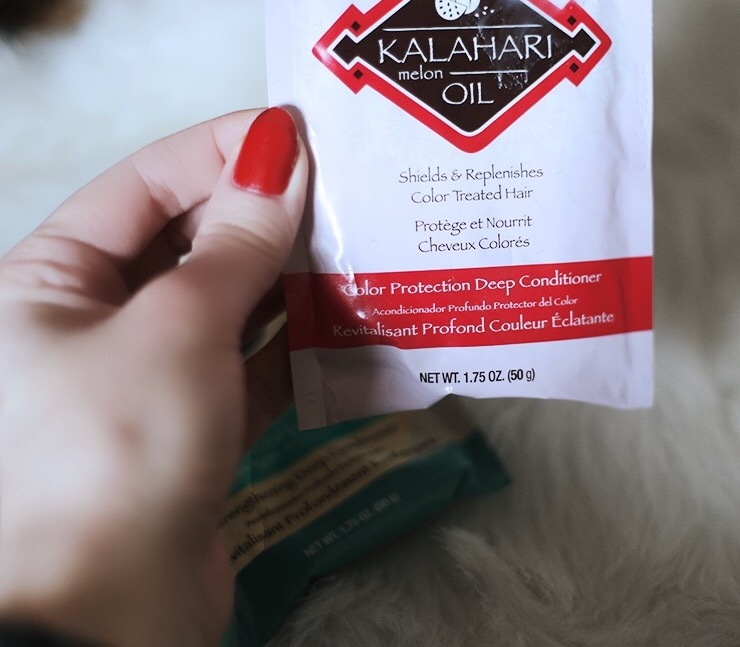 This purple shampoo has been my essential for years, and it is the only purple shampoo I've tried that really works well. I actually can't live without this as a blonde. 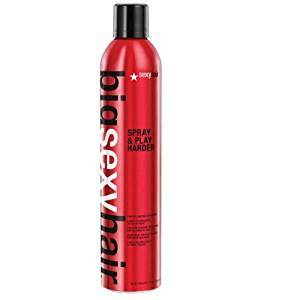 Any yellow or brassiness is quickly corrected with just a dab of this after my regular shampoo. I usually use this every other wash.
My colorist Mimi introduced me to this, and now I can't live without it! I was frustrated with heat protectors that wouldn't also hold my curls when using heat, and this was the answer. It not only holds my curls, but also adds texture and volume. 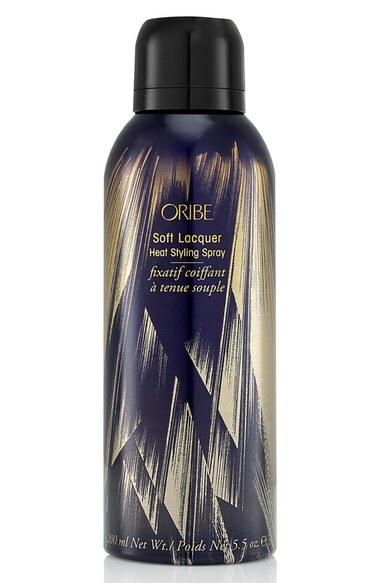 I usually use on 2nd day curls to add oomph to a previous curl set, or before using a curling iron or hot rollers. After experimenting with quite a few hairsprays, this is my current favorite for my vintage style hair. It holds very well without a sticky residue. This is actually a cream hairspray, but I use as a setting lotion. 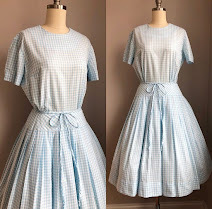 I found this on my own, and conducted my own experiments to find it's great use for vintage hair. I mix with water and spitz on my hair before wet sets. These products my essentials of the moment, but I am forever a student - always trying to learn more & try new things. Feel free to share some products you love in the comments below! I hope this helps with some of the questions, and I'll work on more beauty posts soon. Really interesting list. I'll have to see if I can find any of those products in the UK. Though I have to be careful. Argan Oil I have found I am allergic to and I have to be careful with scents as it will trigger my asthma. But I would so like to be able style my hair in a similar way to yours. 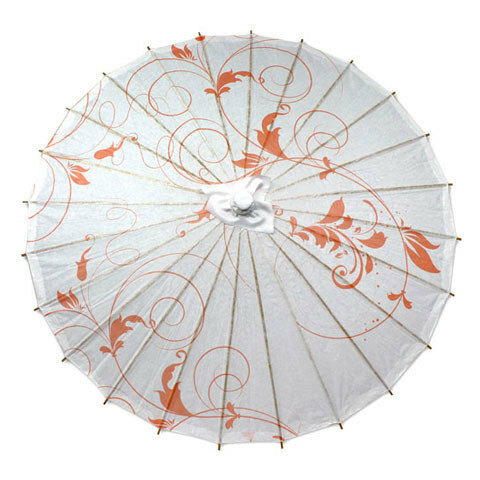 Its so elegant. ooh I forgot to add. Would you give tips (as a post) on how you create your curls?